The perfect stocking stuffer for those bad little children around Christmas time - pure, natural high grade Anthracite Coal, over 95% pure Carbon. Great samples for experimentation and analysis of Coal burning byproducts (Sulfur Dioxide, Nitrogen Oxides, etc). Used in some ancient chemical formulations. Easily ground into a fine powder. Also, the perfect stocking stuffer for those bad little children around Christmas time. 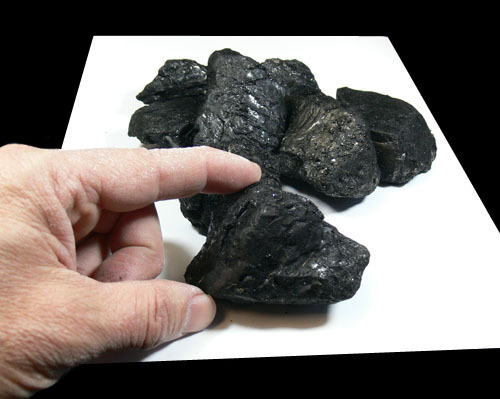 Image above shows 1 pound total of Coal chunks. 1 pound typically contains about 5 to 9 good sized chunks.